I’ve found 14 wonderfully whimsical garden decorations that you can add charm and grace to your yard, and most of these won’t cost you much if anything at all to make. The backyard is certainly one of the most useful and versatile parts of your home – the possibilities are endless when it comes to decorating, renovating or remodeling it! 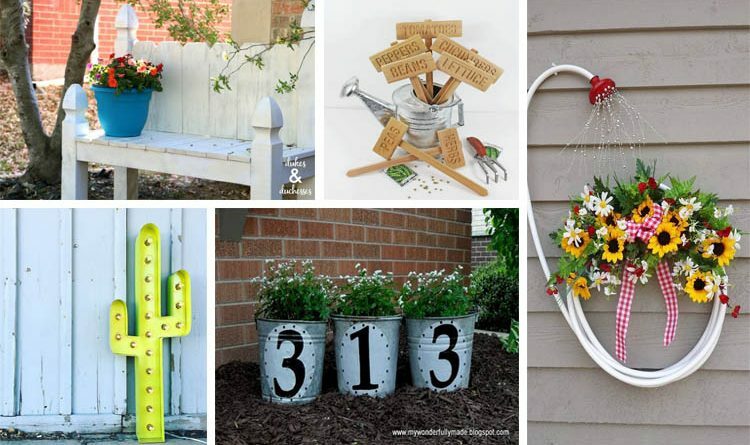 From repurposed bricks to upcycled tires, there is something in here that is sure to spark your creativity and make you want to get started decorating your garden. Adding fairy charm to your garden is so easy and there are so many options as to what you can create. Be sure to let me know which of these is your favorite!